All of our frosted/natural and white lotion bottles are a royalty style. 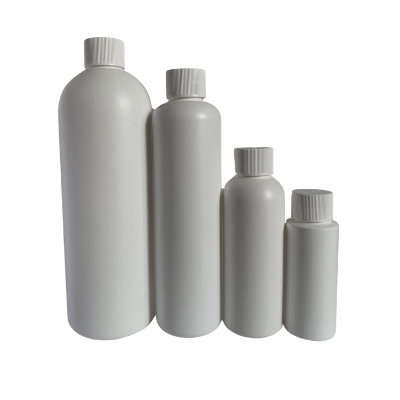 The size of neck on this style is 24/410.The natural bottles are a very squeezable MDPE plastic, whites are HDPE plastic. Lids for lotion bottles are sold separate. Choose a size 24/410 lid.